The Star Trek Online Cryptic Store has been updated with two new starships, a refit variation each for the Federation and the Klingons. I think some of the best new designs STO has had in a while! Based on the iconic Vor'cha ships of the late 24th century, the new Vor'Kang Class is updated to face the growing threat of the Federation. This vessel is equipped with an Isometric Charge Module that will unleash a devastating charged attack that will hit an enemy ship and then chain to other nearby foes. This console can be equipped on any Battle Cruiser, Carrier or Cruiser in any console slot. 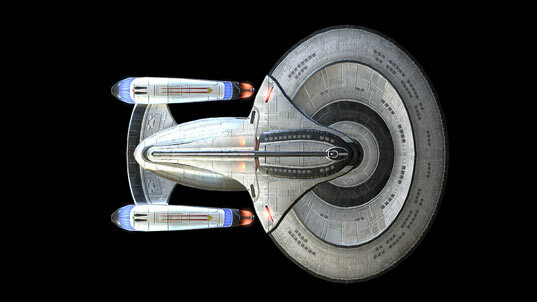 A variation on the famed Galaxy class, the Exploration Cruiser Refit: Venture Class honors the U.S.S. 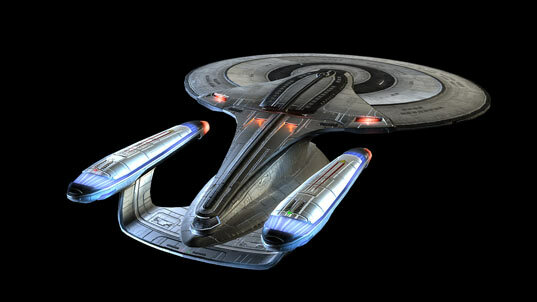 Venture, a Galaxy-class vessel that served with distinction during the Dominion War. This vessel comes equipped with an Antimatter Spread Module. This console allows you to fire an Antimatter Spread around your ship that will confuse enemy sensors. 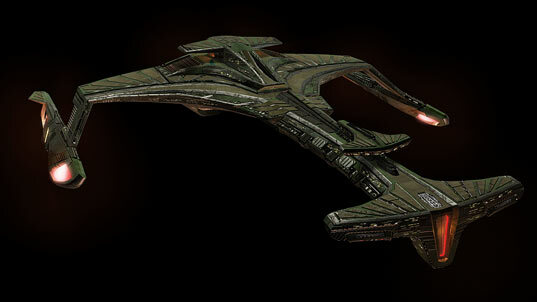 The Antimatter Spread Module may be equipped on any cruiser in any console slot. More images on the STO website.